Reminiscent of John Locke’s argument that property rights emerge when the person mixes his labor with natural resources, the Basis of the Social Concept of the Orthodox Church affirms property “as a socially recognised form of people’s relation to the fruits of labour and to natural resources.” And like contemporary economic theory, property rights in Orthodox Social Teaching are actually a bundle of rights. Specifically this means the power “of an owner … to own and use property, … to control and collect income, … to dispose of, lease, modify or liquidate property (VII.1). The attitude of Orthodox Christians to property should be based on the gospel’s principle of love of one’s neighbour, expressed in the words of the Saviour: “A new commandment I give unto you, That ye love one another” (Jn. 13:34). This commandment is the basis of Christian moral behavior (Basis, VII.1). Charity however also includes a respect for law—civil to be sure but also canonical. And so for both Christians and all men of good will, the regulation of “interpersonal relationships, including property,” (Basis, VII.1) is a moral imperative. It is something that must be done and done not simply out of concern for a just society but also love. Both just and love are (or should be) the fruit of humanity’s gratitude to God. According to the teaching of the Church, people receive all the earthly blessings from God who is the One who holds the absolute right to possess them. The Saviour repeatedly points to the relative nature of the right to property in His parables on a vineyard let out to be used (Mk. 12:1-9), on talents distributed among many (Mt. 25:14-30) and on an estate handed over for temporary management (Lk. 16:1-13). Expressing the idea inherent to the Church that God is the absolute owner of everything, St. Basil the Great asks: “Tell me, what do you have that is yours? Where from did you take it and bring to life?” The sinful attitude to property manifested in the conscious rejection of this spiritual principle generates division and alienation among people (Basis, VII.1, emphasis in original). This means that far from being a matter of mere utilitarian social organization, the “various forms of ownership” are in the service of both justice and charity. This is possible however only if ownership, and the laws governing property, are rooted in gratitude to the Creator and respect for human freedom and creativity. While they are all the result of contingent socio-historical factors, “Public, corporate private and mixed forms” of ownership as well as intellectual property rights are all morally legitimate ways of creating and using wealth (Basis, VII.3). Finally, law not only protects an individual or a community’s right to property. As with law in generally, the legal protection of private property right can advance the Gospel. This happens not by “turn[ing] the world lying in evil into the Kingdom of God, but to prevent[ing] it from turning into hell” (Basis, IV.2). However, in the cases where the human law completely rejects the absolute divine norm, replacing it by an opposite one, it ceases to be law and becomes lawlessness, in whatever legal garments it may dress itself. For instance, the Decalogue clearly states: “Honour thy father and thy mother” (Ex. 20:12). Any secular norm that contradicts this commandment indicts not its offender but the legislator himself. In other words, the human law has never contained the divine law in its fullness, but in order to remain law it is obliged to conform to the God-established principles, rather then to erode them (Basis, IV.3, emphasis in original). 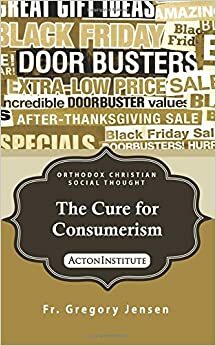 be made “for the alienation of property based on the law [i.e., eminent domain], conditioned by the interest of the majority of people and accompanied by fair compensation” this must be done carefully and with respect for the demands of justice and charity rooted n thankfulness to God. Otherwise, and as “Russian [and American] history has shown” the State’s “violation of these principles” can (and has) result “in social upheavals and people’s suffering” (Basis, VII.3).